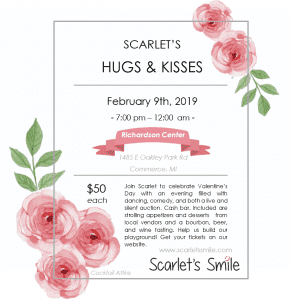 Join Scarlet to celebrate Valentine’s Day with an evening filled with dancing, comedy, and both a live and silent auction. Cash bar. Included are strilling appetizers and desserts from local vendors and a bourbon, beer and wine tasting. Help build the playground!